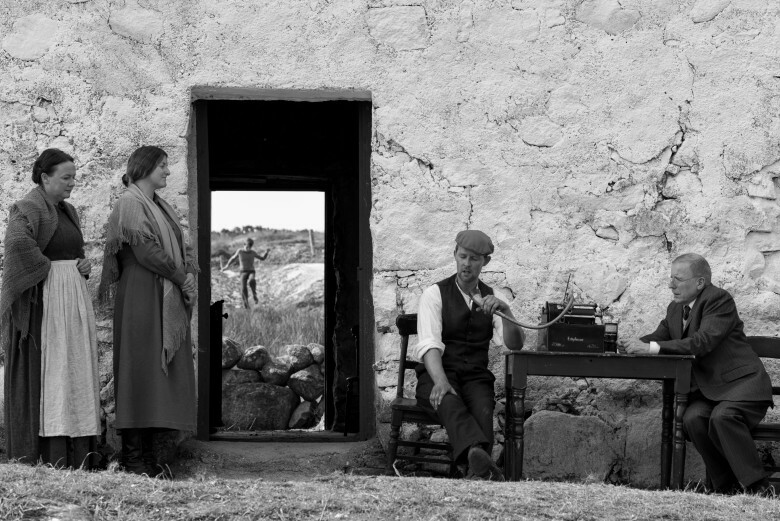 There’s a firm directorial vision behind Pat Collins’ film Song of Granite about Irish traditional singer Joe Heaney. 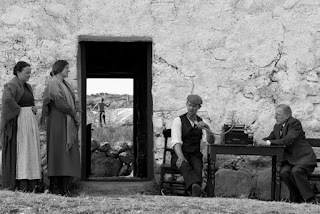 The uncompromising black and white reconstruction of Heaney’s early life in the village of Carna in Connemara carries through from his cot and class to his time working on the farm, before he fled to work as a doorman at a swanky London hotel as a prelude to his prolonged spell living and singing in America. Those are the words of Heaney’s primary school teacher, advice that this biopic suggests he only partially followed in later life. A series of actors play the songster across the different stages of his life. As the singer grows older, grainy archive footage is interwoven with reconstruction to tell the tale – in the most gentle sense of ‘tell’ – of his career and his deliberate self-estrangement from his suffering family back home. Seosamh Ó hÉanaí, as he was also known, sang sean-nós (unaccompanied). In his traditional heartland, he would lean against a pub’s bar while everyone else stands stood, frozen like statues as they listened. Outside the Gaeltacht, some of his folks songs would switch to English. 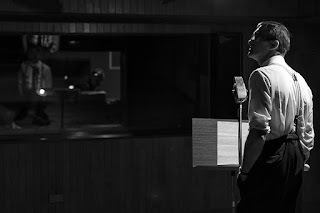 His stripped back performances are echoed by the 104 minute film that is so bare of cinematic furniture it feels like the film has not been finished. 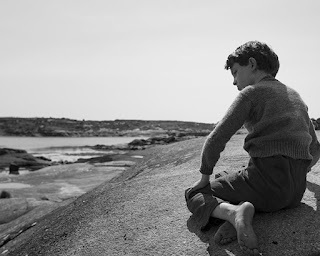 The empty landscape around which Heaney grew up is cold and hard, much like Collins’ film. Unfortunately, while the scenery also has a deep beauty, Song of Granite is impenetrable and it’s a struggle to stay engaged throughout. The black and white sits well with the discordant, dirge-like string soundtrack that suggests an emotional dissonance and depression with his lot, a sentiment never far from the subject of the hundreds of traditional songs in Heaney’s repertoire. Song of Granite is bleak, even though it only hints at the Heaney’s unusual personality and complicated relationship with his family. The songs are the only highlight in this underwhelming film that is being screened in Queen’s Film Theatre from Friday 8 until Thursday 14 December.